When I lived in California, I’d often meet up with my friend Susan and hike the hills of Marin. Situated just North of San Francisco, Marin has some of the most beautiful trails — in the spring, there’d be boisterous waterfalls and in the fall there were dry and humble hills. I owned a tattered hiking book that covered the region and over the phone the night before we’d meet, Susan and I would eagerly decide on a trail to tackle. The funny thing about the book? It wasn’t at all accurate. It wasn’t fact-checked. We got lost each and every time we used it. And for some reason, we kept coming back for more. I’m not really sure why, especially considering I’m not someone who favors getting lost off the beaten path just for the heck of it. Repeatedly. But I do know that, because of the poor directions, an adventure always seemed to sneak into our afternoon hikes. The book got us to the trailhead and then about halfway through, we realized we were very much on our own. I thought of my hikes with Susan last week while in San Francisco for the IACP conference — a few very busy days filled with food and travel writers, photographers, editors, agents, and PR folks. Being back in the city was wonderful; I met up with many old friends, ate guacamole and vegan tortillas at Gracias Madre in the Mission, met my wonderful editor for the first time, had my fill of Blue Bottle Coffee, finally made it to Craftsman and Wolves, and enjoyed a thick and most glorious piece of toast with strawberry jam at The Mill. At the conference itself, I found myself feeling the same way I’d felt on the trails with Susan: I’d approached the sessions and talks with immense enthusiasm and gusto only to be left halfway through scratching my head wondering where I’d landed. This time there wasn’t an actual trail, but a large room full of people discussing book tours and the like, throwing out tips about corporate sponsorship, twitter meet-ups and “tastemaker” (?!) dinners. A natural human inclination in scenarios like this, I think, is just to excuse it all as silly. It’s not me. That’s fine for them, but I need to be true to who I really am. And I feel that way. I really do. But at the end of the day we all need to make a living too, and those folks discussing corporate sponsorships and tastemaker dinners have that part much more figured out than I do. So what’s the best way to approach our work then? We can be quietly true to who we think we are and to the craft of writing and making food that we genuinely love, or we can become our own lobbyist and PR firm, figuring out ways to make more of a business out of it all? Perhaps the two aren’t even mutually exclusive in the first place — I don’t know. With a book coming out this year, it all makes me a little nervous to think about. There is some truth to the fact that eventually, to continue to succeed in this wacky digital world we all live in, I’m going to have to get more comfortable with some elements of this business that don’t necessarily feed my soul. This involves a lot of unknowns and a lot of that mid-trail feeling of panic. There are, however, a few things I do know for sure: I know that I love talking to you all about the kind of food I make at home and the way we eat around here. I’m passionate about whole-grains and about baking with whole-grain flours. I know that I love teaching cooking classes, doing farmers markets for Marge and meeting new people in the community. So this will likely be the way I find my way to the end of the trail. Someone else’s path will likely look a lot different. But that’s the only way any of us are going to get there — focusing on what we love and what we’re inherently good at. All the while, crossing our fingers and holding our breath just a little. 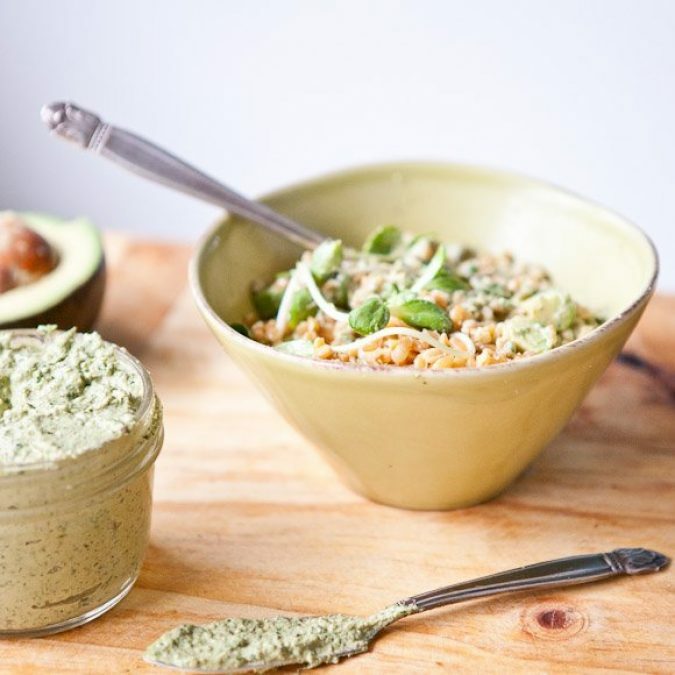 This spring sauce is an appropriate recipe to share with you today because I’m giving you an accessible formula for which to approach it (this is your guidebook!) and then it’s up to you to decide how to use it. The roasted scallions join with the toasty walnuts and the bright lemon for a spring spread that gets a lot of play in our kitchen. 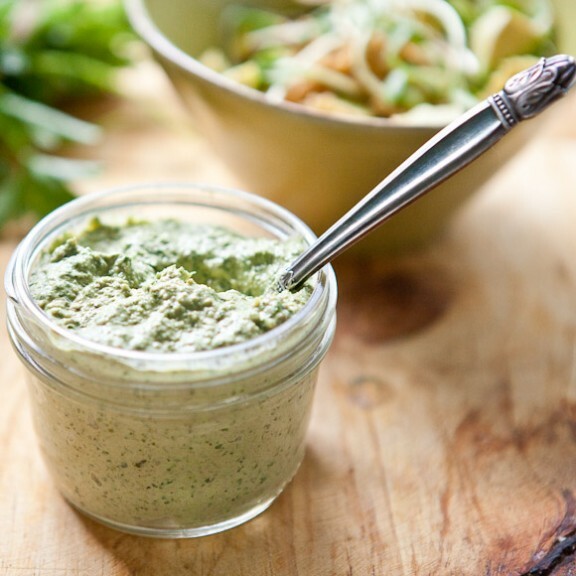 With savory recipes, I love a dollop of the pesto-like spread, and keep a little jar in the refrigerator regardless of the season. 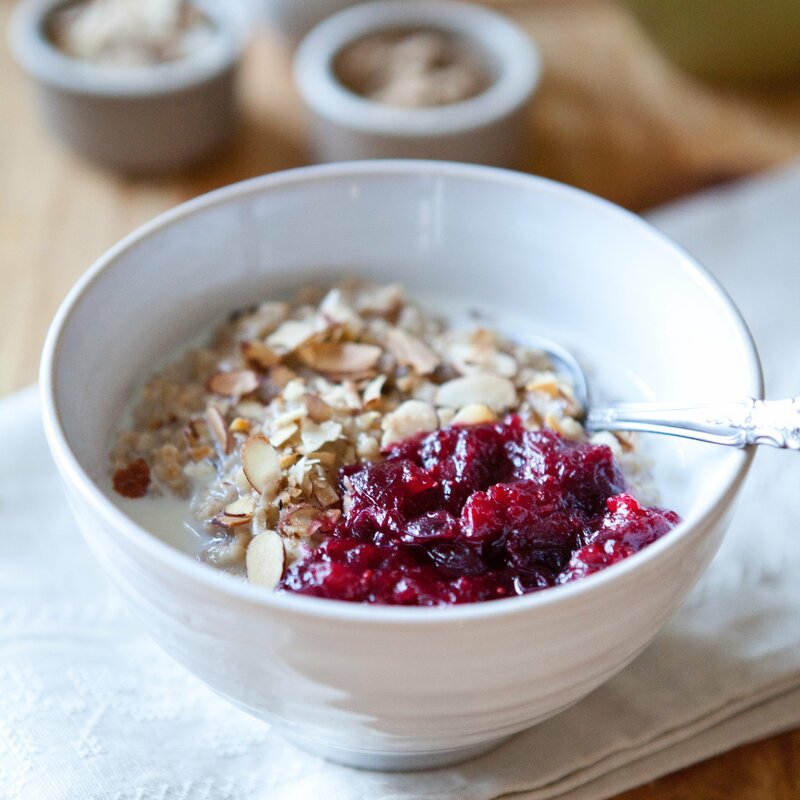 It does wonders to wake up warm leftover grains, soft-scrambled eggs, or simple buckwheat crepes. It’s nice slathered on english muffins or as a spread for crackers or flat bread. I think you’re going to like it. Feel free to experiment with adding fresh herbs if you have them around. I’ve made this with a heaping tablespoon of fresh dill and it was wonderful. 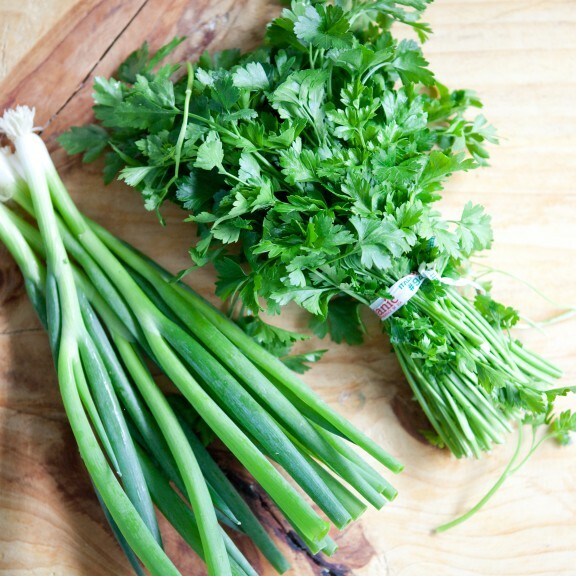 A handful of fresh cilantro is nice, too. I generally end up adding about 1/4 cup of water to thin the sauce to where I like it, so feel free to use more or less depending on how thick you’d like yours. You can also always thin it out as you use it each time. Preheat the oven to 350 F and toast the walnuts until fragrant, about 7-9 minutes. Set aside to cool completely. Increase the temperature to 400 F and roast the scallions with 1 tablespoon olive oil (or enough to lightly coat each) until wilted and slightly charred on the tops, about 12-14 minutes. Allow to cool and slice off and discard the white, nubby bottoms. Place cooled walnuts in the food processor and grind until fine. Add the scallions, parsley, salt, lemon juice, vinegar and 1/4 cup olive oil. Process until smooth. The sauce should be the consistency of a thick pesto. 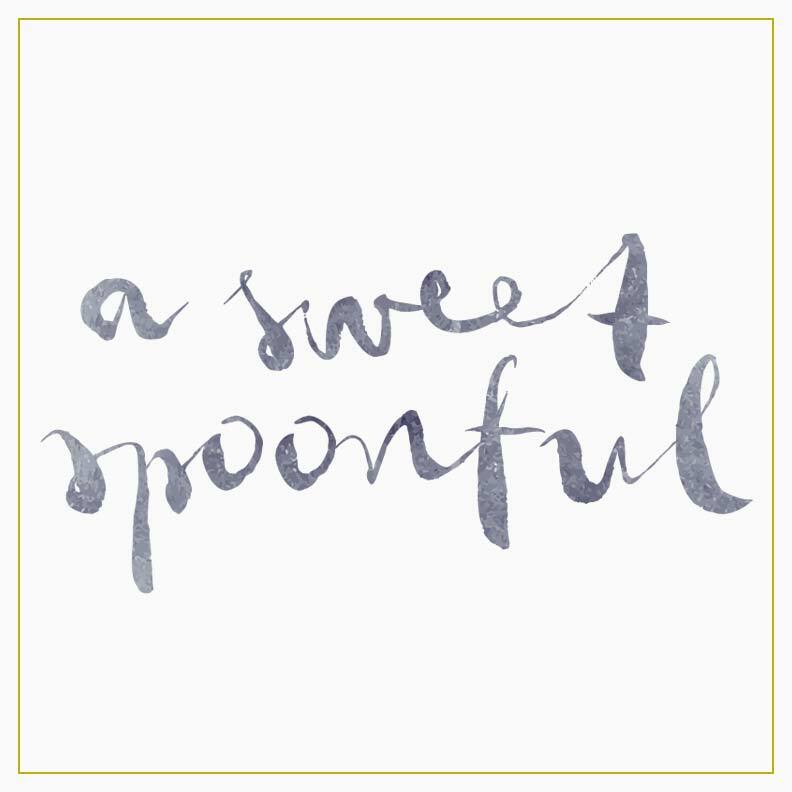 If it’s too thick, add water, 1 tablespoon at a time, to get a spoon-able consistency that you’re happy with. Refrigerate in an airtight container for 2-3 weeks. Looks Great! 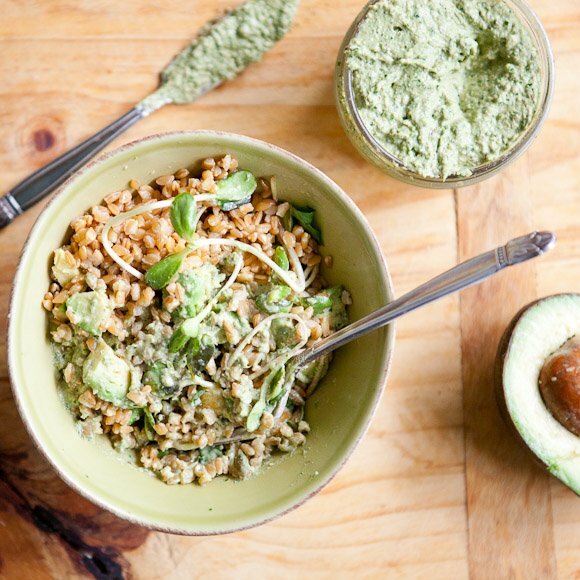 Recipe for the greens/grains bowl in the photo? Beautiful, and I love how versatile it is! I want to try this sauce, it sounds delicious! Lucky you, Laura! I was just visiting and it was so sunny and beautiful -- you guys really know how to do spring. Enjoy it (and thanks for the sweet comment). Megan, I can't say it enough: I LOVE your blog. Your writing style and sincerity is the best way to start or end the day. Thank you for sharing. Thanks for posting this recipe. It looks and sounds delicious and I can't wait to try it. Yum! I think I'll try making my next tuna or chicken salad with it! I, too, find much of the marketing side of a creative life to be overwhelming and confusing . . . and I work in book marketing! Still, you're so ahead of the game with your wonderful web presence and I have no doubt you'll find at the very least a temporary place in your soul for the other stuff. I really appreciate the honesty in this post. After failing miserably at making peanut chutney... I was feeling pretty low. This spring greens sauce totally brought me back up! I'll let you know how much I loved it after actually tasting it. The breathing. Yes, the breathing is always a good step. This looks stellar. oh, megan. i love the honesty and mystery behind this, and work that it is to be okay with the not knowing. Oh, Molly you're onto it: crudites, thin omelettes etc! Perfect. We've been blazing through our jar at a pretty alarming rate. And yes: the not knowing. Not my strength, that one. Happiest of spring to you, too. It's rainy here in Seattle today, but we're hoping for a little smidge of sun this weekend! Great read Megan. I often feeling like I am on a hike, getting lost, as I look at heaps of work that needs to be tackled. Maybe that is more like deep sea diving and not being able to reach the surface!! This recipe is perfect for the summer months. We had something similar in Palm Springs, and have been dying to tackle it. Now you have come along making it easier for me! 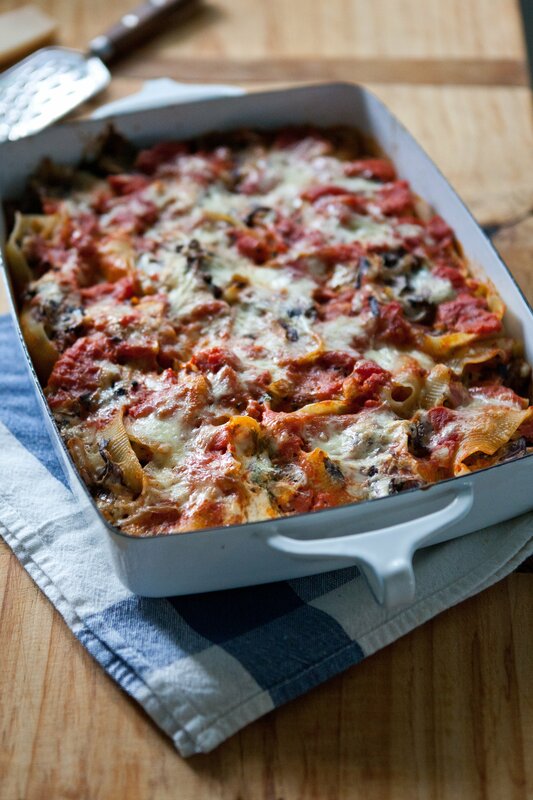 I love the look of this recipe and can't wait to make it but I want to clarify an ingredient. In your intro paragraph to the recipe you mention shallots but I am seeing scallions in the ingredients list as well as the photo. Just want to make sure...although either one would probably be great. This looks incredible! Your blog is awesome, can't wait to try some of these recipes!